I am kinda sad. This is the first time since January that double retrospect has not been on the table or in progress. I ended up breaking section A into 16 even parts and making a box to hold the assembled sections securely and then packed them in the original box. It's funny to me how much energy it took to covert the bag of pieces into that neat stack. Entropy is going to fight all that energy I put into it. I must do my best to protect it! 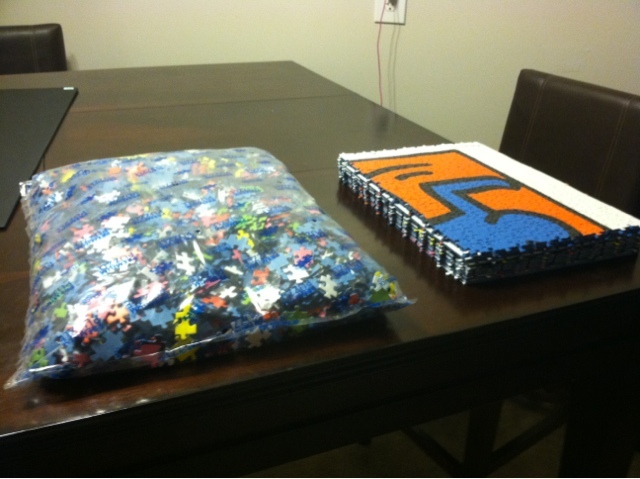 It took nearly 80 hours to convert that bag of pieces into a nice neat stack of sections. 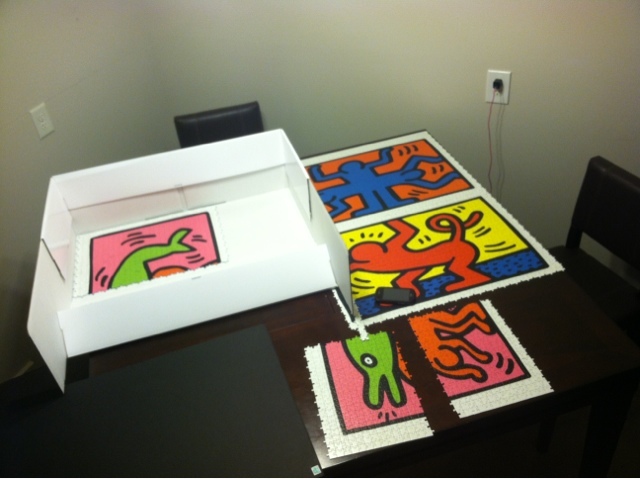 Failed attempt to store the pieces in the bottom of the box. I realized I just needed to break it down further and store all the sections in one neat stack (above).